"It's hardly broken the skin!" 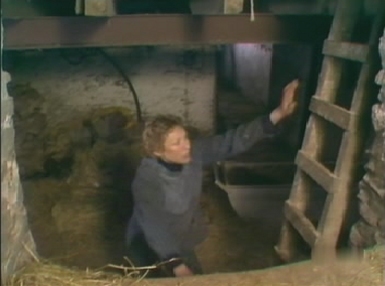 As Charles dives for cover beneath the hay, Ellen climbs the ladder out of the barn to intercept the approaching riders. Where's the best vantage point? : This shot is taken from a position outside and above the barn, looking down through the hatchway. 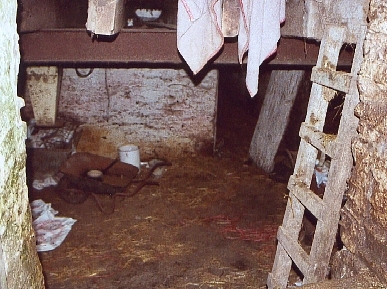 In the episode, it is implied that this hatchway leads directly to the front farmyard. In reality, it leads to the rear of the farm.